Posted on Sunday, February 21, 2016, by Eric - TV Geek Army "Revered Leader"
Few topics get me as heated as when people say something to the effect of, "There's nothing good on TV these days," "TV is filled with junk," and on and on. You've heard things like this yourself, I'm sure. Yes, sure. There are countless shows on the air right now -- and no doubt this very minute -- that are objectively awful. But here's the thing: there are more good, very good, and all time great shows being produced right now than ever before. That's just a fact. And one of the reasons for that is that we're living in an age where television producers are able to specifically target shows for specific audiences and take chances and push boundaries in ways that have never been possible before. And that's precisely why only a single show on a the below list of fabulous niche shows (NBC's Hannibal, which ended its three season run recently) aired on the broadcast networks. Note that this list is specifically tailored to shows that I very much enjoy that nearly everyone I know has either never heard of or hasn't yet seen. This was a crazy easy list for me to assemble, and you'll no doubt have other choices to add. These shows aren't for everyone... and that's exactly the point. 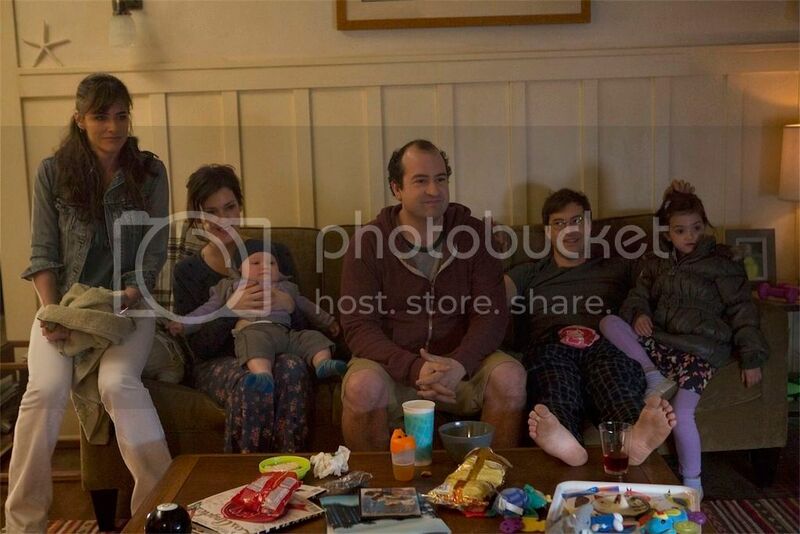 Togetherness returns to HBO tonight, February 21st, at 10:30/9:30c on HBO, and I couldn't be more amped. Togetherness Season 1 may have been the single best season of a "dramedy" that I've ever witnessed. This Duplass brothers production hits all the right notes in telling a "small" story centered on a married couple (played by Mark Duplass and Melanie Lynskey), the best friend of the husband (Steve Zissis, who I am officially semi-obsessed with already), and the wife's sister (Amanda Peet, doing the best work of her career). It's hilarious, it's dramatic, it's compelling. It's an absolute gem of a show and I'm thrilled to get another dose of Togetherness starting tonight. Mad Dogs, which has its first season available on Amazon, is a completely different show than Togetherness in every way. You can make the argument that it's either a very dark satire or just a flat out intense thriller, but either way it was a fun ride largely based on the performances of the core cast that includes Ben Chaplin, Michael Impereoli (who I will watch in anything), Romany Malco (showing great range here versus his recurring character on Weeds), and Steve Zahn (giving probably the best performance I've seen him give to date). The plot is exceedingly simple... at first: four old friends are invited to Belize by a fifth old friend (Billy Zane) under semi-mysterious circumstances, and things go wildly sideways from there. How is it possible that almost no one I know is aware of this Netflix show that captures the exotic intrigue and palace drama of 13th Century Mongolia under the rule of Genghis Kahn? Who knows, but this series has a lot going for it and is well worth getting through the early episodes where it takes some time to get up to speed with lots of characters and cultures with competing interests. Also: Tom Wu's performance as Hundred Eyes is one of the best and most fun on television today, flat out. This is the only "reality show" on this list, though I'm a fan of a great many. The Ultimate Fighter, currently airing on FOX Sports 1 (FS1), is an exceptional show in many ways, but most of all it showcases the incredible dedication and desire it takes to compete in Mixed Martial Arts (MMA), and that is heightened by the opportunity the athletes have each season to win the "TUF" tournament and earn a contract with the UFC. I think I recommend AMC's Halt and Catch Fire above all others when I'm asked for a new TV show to check out, particularly if the asker is involved with or savvy with technology. A fabulous drama that unfolds at a fascinating time and place in relatively recent technology history (the "Silicon Prairie" of 1980s Texas), it's a great fictionalized tale of a group of young innovators and hustlers trying to become the next Steve Jobs and Bill Gates. Halt and Catch Fire also touches on all the right notes with characters and relationships and features a standout cast that includes Lee Pace, Mackenzie Davis, Kerry Bishe, and Scoot McNairy. If you were to tell me a few years back that there's an amazing animated show on Netflix that stars a talking horse (voiced by Will Arnett) that used to be a huge TV sitcom star (Horsin' Around) back in the day but is now a grizzled and semi-miserable alcoholic, I'd say, "Uh... what?" Then add to that the fact that sentient animals and human characters interact like it's completely normal (Todd, voiced by Aaron Paul, crashes on BoJack's couch) and follow that up with that it's a bleak yet often hilarious comedy with a deeply "human" touch and.... well, that's BoJack Horseman. It's insanely unique, sometimes just flat out insane, and it's a miracle of sorts that we get to watch stuff like this these days. 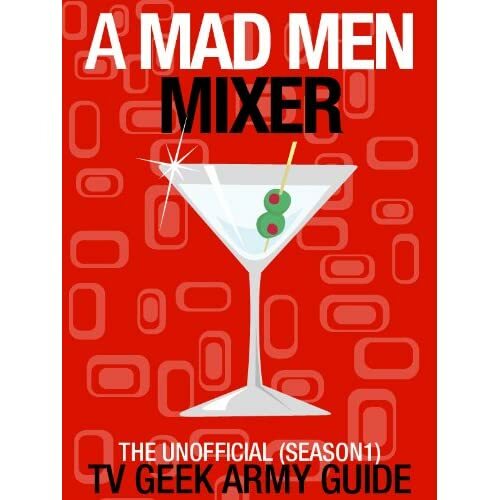 No, this ain't the Manhattan of Mad Men. We're talking The Manhattan Project here in the run up to the first use of nuclear weapons on Planet Earth. WGN's Manhattan gets into the competing agendas and deeply complex moral issues that the scientists, military staff, and wives encamped in Los Alamos, New Mexico during World War II. It's gripping stuff, and the storytelling is adeptly told. One of the most enduring questions about Hannibal is how it ever made it to air on NBC, let alone lasted three seasons. But more importantly, this is an at turns beautiful, haunting, and disturbing story of the brilliant and murderous Hannibal Lecter (a fascinating performance by Mads Mikkelsen) and a host of characters poised to stop him or, at the least, understand him. I love a show that conjures up a world that feels at once completely fantastical and yet grounded and believable. Showtime's Penny Dreadful does exactly yet while creating a world set in Victorian London that allows many of the characters from gothic novels and "penny dreadfuls" of the day to exist together. Each episode feels like a richly detailed mini-film, and the storytelling is engrossing and often exciting. A wild blast of an adrenaline rush, I'm always surprised and slightly sad that more people haven't heard of this Cinemax show. After its fourth and final season airs this year, I'll greatly look forward to seeing more work from its main cast, which includes Antony Starr, Ivana Milicevic, Hoon Lee, Ulrich Thomsen, and Frankie Faison (Commish Burrell himself!). Love (Netflix), The Knick (Cinemax), Black Sails (Starz), With Bob and David (Netflix), Survivor's Remorse (Starz), Catastrophe (Amazon Prime), The Man in the High Castle (Amazon Prime), Narcos (Netflix), Unbreakable Kimmy Schmidt (Netflix), and... yeah, there could be a ton more here.